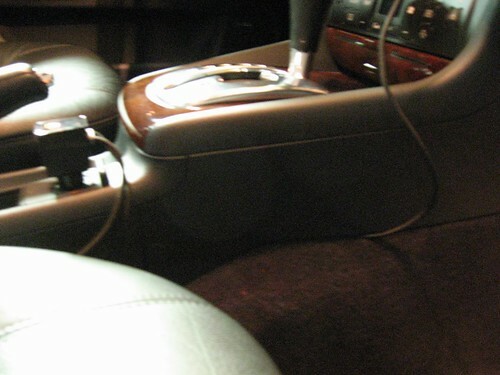 There are a lot of solutions for using an iPod or iPhone in a car, but if you want the ideal combination of safety, good sound quality, and in-car charging, the options narrow quickly. The options narrow even more if you want the final results to look clean and neat. 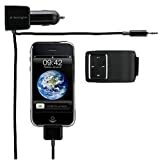 For my iPhone 3G, I ended up using a mount from ProClip, and an adapter from Kensington. I initially purchased the Kensington Car Charger Deluxe , as it looked like a Griffin TuneFlex designed for the iPhone, but discovered that it a) didn’t fit properly in the lighter socket in the Audi, and b) did not support line-out audio. I returned it and purchased another Kensington adapter called the LiquidAUX . The LiquidAUX supports proper line-out audio and doesn’t include the balky mounting bracket. It also includes a totally useless wireless remote control, which I left in the box. I purchased a dashboard mount from ProClip. The ProClip mounts are actually made in Sweden by a company called Brodit. They’re purchased in two parts. 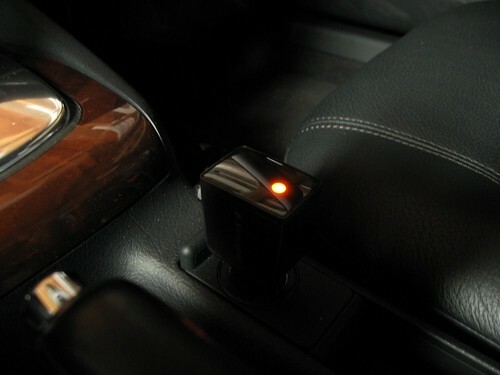 The first is a generic device mount that is specific to a car model. It uses a tool-less installation process that snaps in between the stereo and the dashboard console. The second is a device-specific mount that is screwed directly into the generic mount. The combination is a bit expensive, as I paid $35 for each of the two parts. 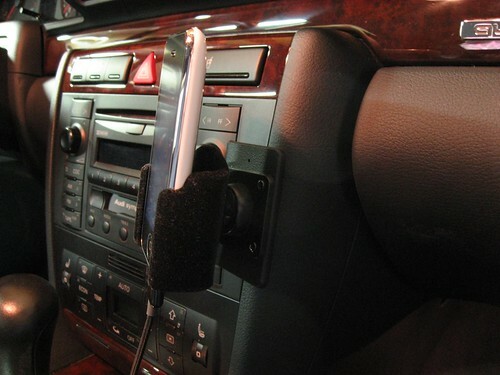 However, it’s a sturdy, classy combination for a specific device and car model, which in my case is a mount for an iPhone 3G in a 2001 Audi A4. 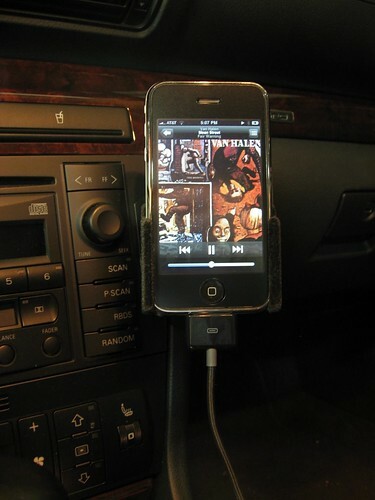 The combination of the ProClip mount with the Kensington adapter gave me exactly what I wanted: a clean and neat in-car iPhone 3G solution with safe placement, good sound quality, and in-car charging.